Italian saying: A little wine kicks the doctor out the door (due dita di vino e una pedata al medico). American translation: An apple a day keeps the doctor away. Unzip the fava bean pods by pulling the string down the length of the pod, release beans. 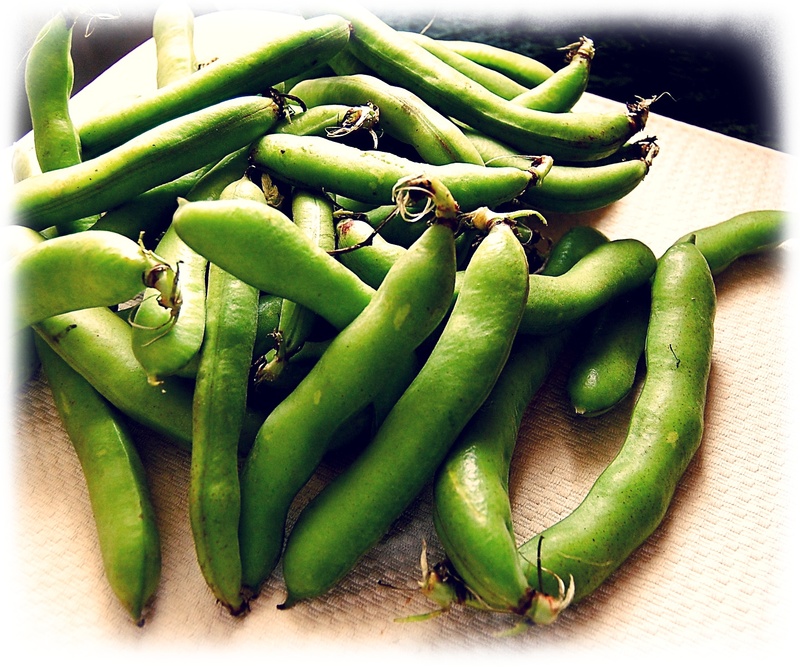 Bring a big pot of salted water to a rolling boil and add the fava beans for 30 seconds, scoop the beans into a large bowl of ice water then peel and pinch off the out skin. Steam beans until just tender 8 minutes was enough time for my batch of beans. Whisk together 1 tablespoon EVOO and 3/4 tablespoon lemon juice, add 1 clove of minced garlic, salt, pepper, and 2 teaspoons minced parsley. 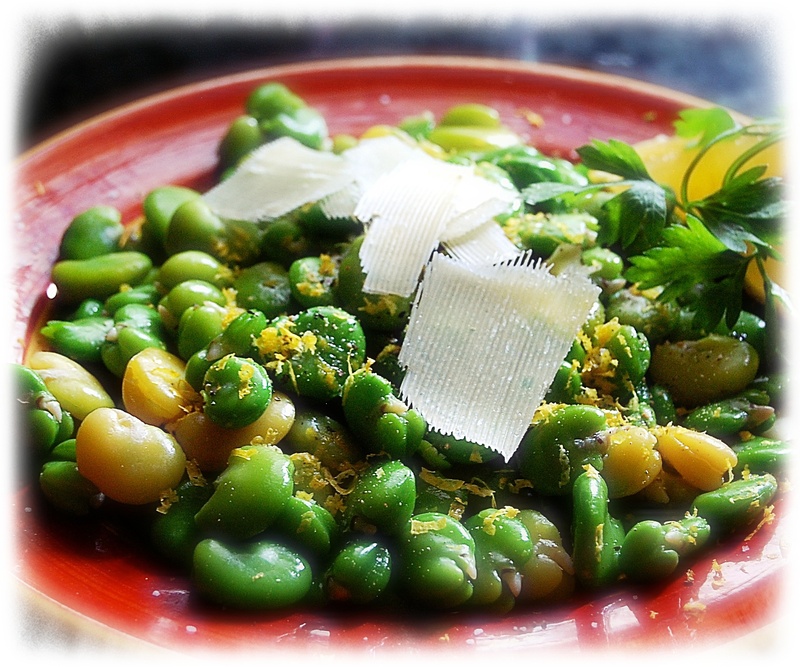 Grate a little lemon zest over the warm beans. 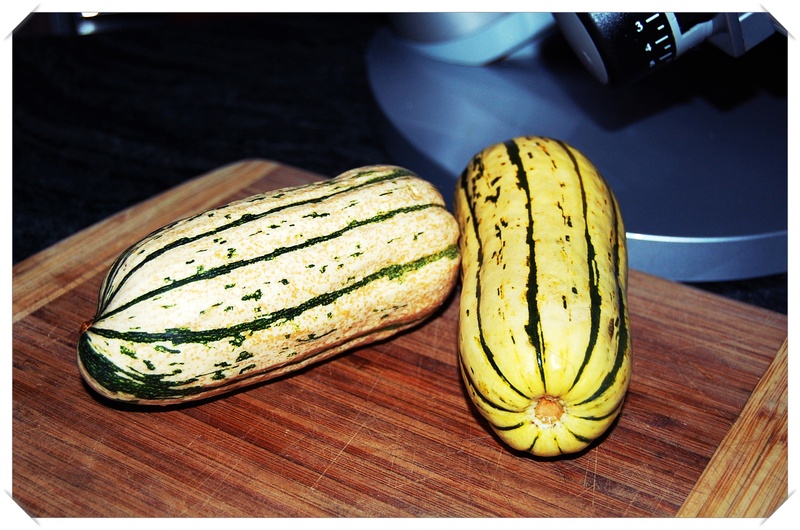 The delicata squash is pretty easy to prepare compared to several others that must be peeled just wash the squash, remove seeds and cut in half, slice into about 1/2 inch slices and roast. 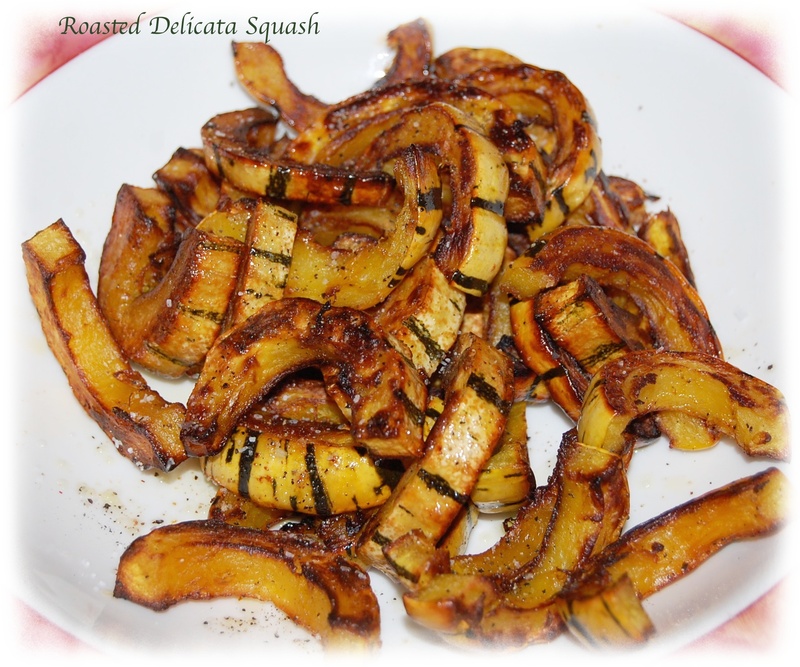 For 2 squashes drizzle a little olive oil over a sheet pan large enough to hold all of the slices. Toss the slices with about 3/4 tablespoon olive oil season with salt and pepper, roast in a 400º oven for 10 minutes, turn slices and roast for another 15-20 minutes turning every now and until golden and tender.